Our website in enriched with the photography of our board member, Charlie Johnson. With his extensive experience in conservation easement and open space acquisition, Charlie Johnson brings many skills to his position as a Board Director. Charlie moved to Colorado in 1980, shortly after he married his wife, Char. For the past 13 years Charlie has been a land agent for Larimer County Engineering and Department of Natural Resources. His responsibilities for that position include negotiation and acquisition of conservation easements, fee open space, trails, and fishing easements. Charlie frequently works with landowners to negotiate easements and to resolve conflicts between neighbors concerning access issues. He also worked for eight years in the oil and gas industry, determining mineral ownerships and managing large-scale leasing operations. Charlie’s many talents include professional photography, which we have already put to use for our website and newsletters. In 2012 James Frank had the opportunity to create photos in celebration of 25 years of conservation by the Estes Valley Land Trust. 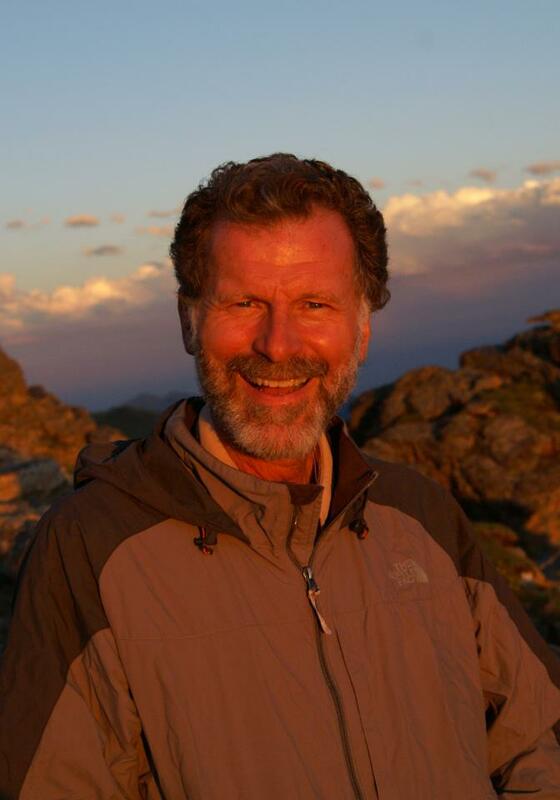 James Frank has called the mountains of Colorado home for over 37 years. He is an accomplished visual artist of the natural world and perhaps the most experienced and informed photographer of Rocky Mountain National Park. Five beautifully illustrated books showcase his photography. His stock photos have been used in advertising for national companies, and receive wide publication in all media. With purpose, the nature photographs tell stories about wild places. The people photos speak to life and living. Options for purchase are available at his website. All images on EVLT’s website are under copyright and may not be copied or reproduced in any way without the express permission or sale by James Frank and/or Charlie Johnson.